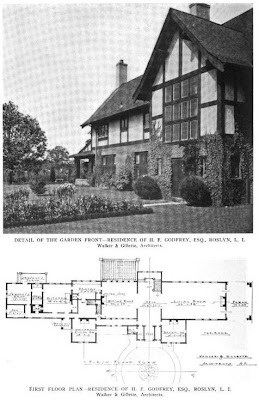 The Henry F. Godfrey estate designed by Walker & Gillette c. 1910 in Old Westbury. Godfrey was Master of the Hounds for the Meadowbrook Hunt Club. 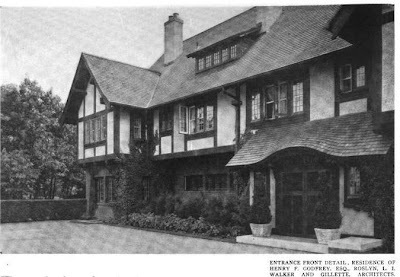 The house was later owned by William deForest Manice and sat where THESE horse stables are today. It is possible that they were part of the original estate.